Blog > Cannabis Education > Medical Conditions > How Marijuana Affects Your Memory: Does It Damage or Protect It? How Marijuana Affects Your Memory: Does It Damage or Protect It? As The Today Show host’s joke implies, marijuana users have always been associated with forgetfulness and lack of ambition. However, numerous users, probably including yourself, believe that cannabis enhances creativity and improves many aspects of mental functioning—and growing research appears to support this view. Recently a group of scientists led by Andreas Zimmer from the University of Bonn in Germany found that low doses of cannabis seem to aid memory in mice. Their findings, coupled with other studies showing marijuana’s neuroprotective qualities, has many investigators intrigued by the possibility that THC and other cannabinoids could prove effective in preventing cognitive decline. In the public’s mind, marijuana has long been linked to absent-mindedness and mental fogginess. This potential impact on short-term memory concerns both educators and scientists who fear chronic use, especially during key developmental years, could interfere with the learning process, which involves the transfer of information from working memory to long-term memory. 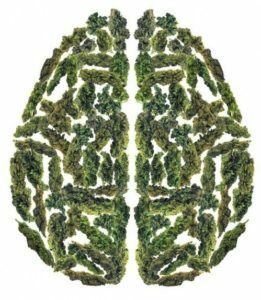 Fortunately, most studies have debunked the notion that moderate cannabis use has any lasting negative impact on intelligence or cognitive functioning. Even heavy marijuana use has not been linked to severe memory problems or neurological damage, so it doesn’t appear to hurt the brain like alcohol and other drugs do, nor does it permanently impair structures like the hippocampus, critical to memory formation. One exception is some studies suggest that heavy marijuana use could impair short-term memory in chronic cannabis users, but that effect appears to wear off soon after the person stops smoking. 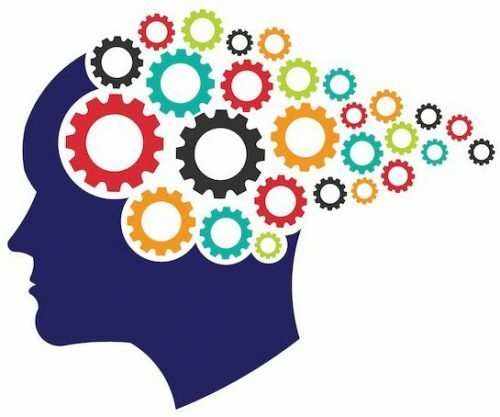 In fact, more recent studies have focused on cannabis’ neuroprotective effects, indicating that low doses may actually enhance memory and some aspects of cognitive performance. 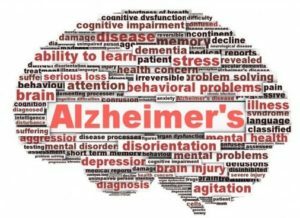 Still, there’s a lot that scientists don’t know about marijuana and memory, but they’re optimistic that it may prove helpful in treating memory-related conditions like Alzheimer’s, PTSD, and cognitive decline. Anti-marijuana crusaders frequently attempted to link cannabis to neurological impairment. Ironically, the latest and most credible research paints an entirely different picture. As it turns out, cannabis contains numerous substances that appear to have a neuroprotective effect on the brain. Alzheimer’s disease is one condition that really intrigues cannabis researchers, who’ve discovered that THC can help reduce inflammation and the formation of beta-amyloid proteins, two distinguishing characteristics of neurodegenerative diseases like Alzheimer’s. In fact, a number of landmark studies indicate that THC inhibits beta-amyloid buildup. 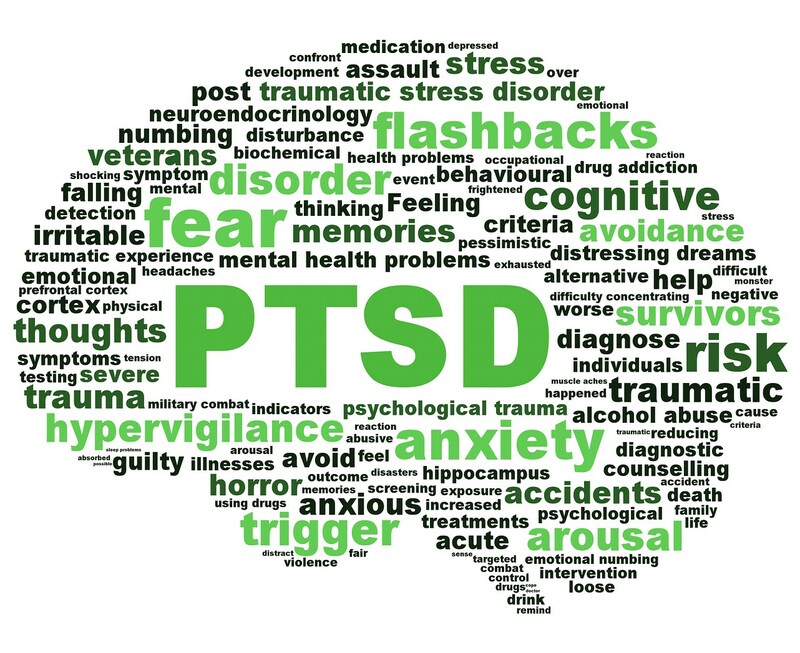 Post Traumatic Stress Disorder (PTSD) is another memory-related condition that cannabis might help treat. 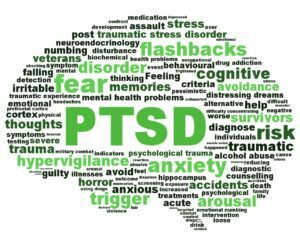 Over the past decade there’s been a dramatic increase in PTSD due to wars in Iraq and Afghanistan; many vets returning home experience violent, traumatic memories as a result of living through horrific events. Basically, cannabinoids appear to short-circuit or deactivate the processes whereby traumatic memories are consolidated. The notion that marijuana could help improve memory, particularly in older people, sounds counter-intuitive. After all, some studies have shown that heavy cannabis use among youths can result in mild disruptions when it comes to short-term memory. But, once again, Andreas Zimmer’s research has produced some amazing findings. His team gave groups of mice low doses of THC to see how it affected cognitive performance measured by maze running and other tasks. As expected, Zimmer found that while THC slightly impaired cognitive performance in young mice, it actually improved neurological functioning in older mice! Plus, tissue analysis of older mice brains clearly showed that THC ingestion led to neurogenesis, the process whereby healthy new nerve cell are created, in the region of the brain critical to memory, the hippocampus. So why might marijuana hinder short-term memory formation in youths, but improve recollection and cognitive performance in older people? Ryan Mclaughlin, a cannabis researcher at Washington State University, speculates that levels of endocannabinoids—which the body produces naturally—decline with age, but that low-doses of the cannabinoids found in medical marijuana may help compensate for any age-related diminishment. Despite this confidence, scientists caution that a lot more research must be done before cannabis compounds are turned into a memory-boosting pill. They also note that low-doses may be key to achieving these desirable results in the same way modest amounts of wine appear to help the heart, whereas excess consumption can damage it. As Mark Ware, a clinical researcher at McGill University, observes, ingesting too much pot can cause temporary paranoia while small amounts tend to lessen anxiety. Similarly, he implies that low doses may enhance memory while higher doses might disrupt it. Hardly a surprising outlook given that a finely-tuned endocannabinoid system is central to maintaining the body’s physical, mental and psychological balance. Memory is core to human identity and functioning. Without a doubt, marijuana’s psychoactive properties can impact many aspects of awareness including perception, cognition, and recollection. Scientific speculation has centered on marijuana’s potential to boost memory and cognitive performance, particularly among older populations. While the research is still in its infancy, it appears that THC, CBD and other cannabinoids can compensate for age-related declines in the body’s endocannabinoid system while effectively reversing the aging process at the cellular level. Interested in trying THC and CBD products, but don’t have a recommendation? You can get a medical marijuana evaluation quickly and cheaply using NuggMD, California’s leading telemedicine platform, from home. Once approved, take advantage of Nugg’s cannabis delivery service and have your order brought to you. Marijuana may not be the sought-after fountain of youth, but emerging concrete evidence proves it contains compounds that may slow down and, in some cases, reverse many processes associated with aging, including memory loss.